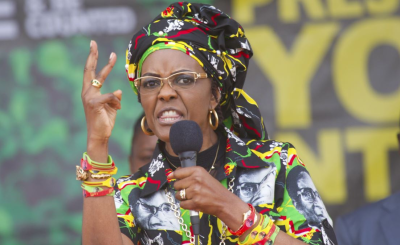 Will Grace Mugabe Face the Music for Her Assault Charge? 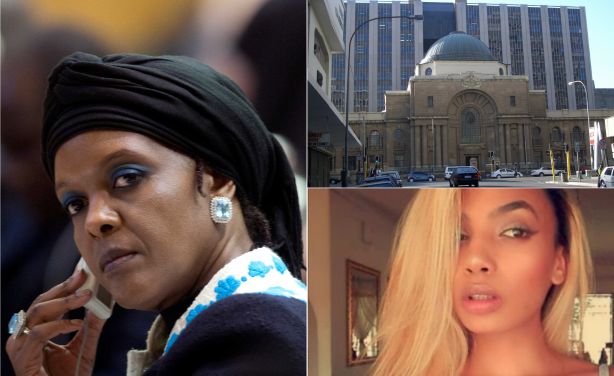 A decision by former minister of international relations and cooperation Maite Nkoana-Mashabane to grant former Zimbabwean first lady Grace Mugabe diplomatic immunity has been set aside by the South Gauteng High Court in Johannesburg. 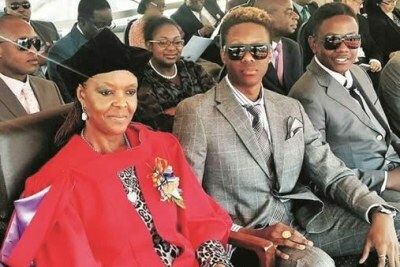 Left: Former Zimbabwean first lady Grace Mugabe. Top-right: South Gauteng High Court. Bottom-right: Model Gabriella Engels.